2 applications per day on clean dry skin.Repeat every 12 hours.For external use only, avoid contact with eyes. 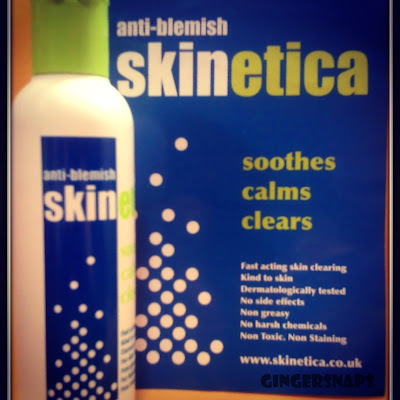 Skinetica does not contain any harsh chemicals such as benzoyl peroxide or salicylic acid which are the active ingredient in over 99% of all acne treatments.It can be used under make-up. I use it on a cotton pad and sweep it over my face after cleansing. Concentrating on problem areas such as the T-Zone, allow it to naturally air dry, which takes 1-2mins. The solution is colorless & very light on skin.